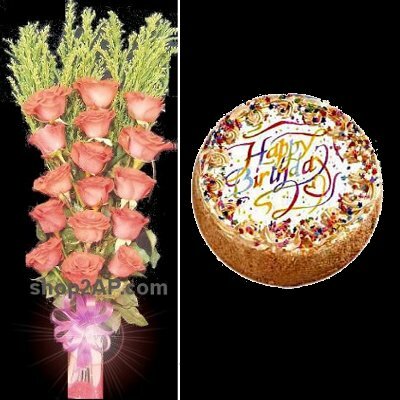 This hamper consists of a delightful bouquet of 16 orange roses bouquet and a 1 kg Butterscotch cake. The fiery orange roses and green fillers have been beautifully arranged in a bouquet by our florist.Orange roses symbolize enthusiasm and desire, send roses bouquet online to express your feelings. Our Butterscotch Combo is a perfect gift on any occasion such as birthday,anniversary, wedding, retirement, Mother’s Day, Father’s Day, Baby Shower, graduation or any other happy event. Send flowers and make the special day more special.